Located on the coast in the center of Orange County, the city of Newport Beach has exceptional shopping facilities and a vibrant business community. 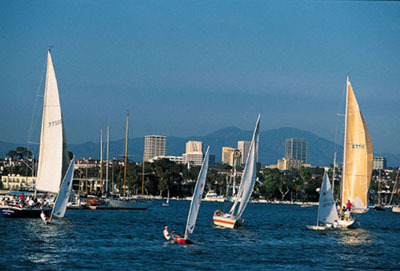 It is home to Newport Bay which houses more than 9,000 boats of all types within the 21-square-mile harbor area. Between the bay area and the city's eight miles of beach, Newport Beach offers outstanding fishing, swimming, surfing, and a multitude of aquatic sports activities. 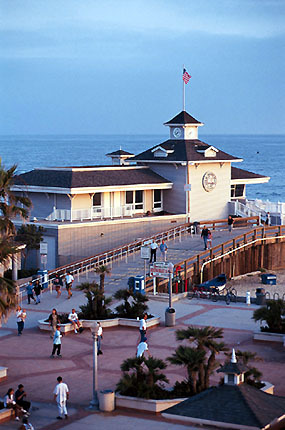 Other attractions in the city include the Orange County Museum of Art, Balboa Peninsula (featuring body-boarding hot-spot The Wedge) and Corona del Mar State Beach. to stay in and around the city. Within our pages you will find Newport Beach entertainment and Newport Beach attractions. We proudly showcase the finest Newport Beach shopping and Newport Beach services to suit every lifestyle. For Newport Beach dining, we have a list of great restaurants either in the city or near by . We are also dedicated to presenting the best of Newport Beach business and professional services to meet your needs. If you're interested in the history of Newport Beach, it can be found along with Newport Beach general information, Newport Beach educational resources plus Newport Beach real estate and housing information for both residents and visitors alike. Annual events in Newport Beach and links to local organizations in Newport Beach are listed so you may participate in all the city has to offer. © OrangeCounty.net & Purpose Media.